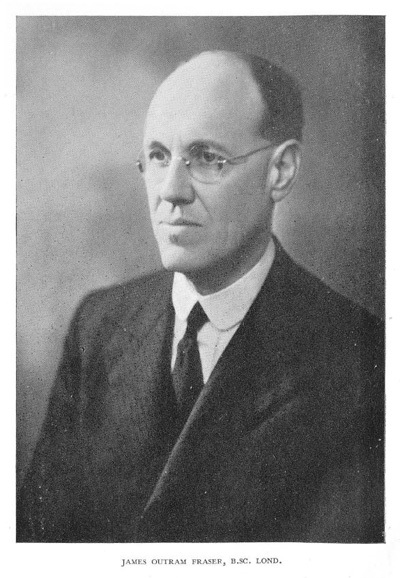 James Outram Fraser (1886-1938) was a man of sure and deep prayer. He joined Hudson Taylor's China Inland Mission. Fraser pioneered Christian mission in 1910 to the remote Lisu peoples in what was known as China's far west. As with Hudson Taylor and C.T. Studd he was an accomplished man - gifted as a preacher, linguist, musical genius and engineer. Fraser ministered in the wild mountainous jungles of west China, humbly tucked far away from any western eyes and therefore honor. By the 1930s he longed for revival, evermore strongly burdened was his spirit for the teeming Chinese millions he knew were headed to hell. His original motivation to the mission field had not waned, but multiplied. An earnest desire in spiritual things is a bell ringing for prayer. Just as a plant may die for lack of watering, so may a genuine work of God rot for lack of prayer. If the work seems to fail, then pray; if the church services fall flat, then pray still more; if months slip by with little or no result, then pray still more and get others to help you. The aim of satanic power is to cut off communication with God. To accomplish this aim he deludes the soul with a sense of defeat, covers him with a thick cloud of darkness, depresses and oppresses the spirit, which in turn hinders prayer and leads to unbelief – thus destroying all power. The fact that the enemy comes upon us in force is no proof that we are out of God's will. The longer the preparation, the deeper the work. When God creates a fresh desire in us, you can always be sure He is ready to move. The Cross is going to hurt - let it hurt! A man who made history from prayer.